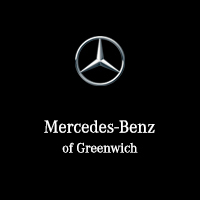 At Mercedes-Benz of Greenwich, we’re dedicated to developing and maintaining a positive, helpful relationship with our clientele. We’ve tailored every part of our service to better serving our local and loyal customers with all of their automotive needs. We care about making your experience as easy and friendly as possible, from finding a car to financing or leasing it to keeping it running for years to come. Of course, our 54 years of experience in serving the area speaks volumes about our success rate, but even more satisfying than our decades of good business is seeing the smile on a patron’s face as they leave our lot with their dream vehicle. And to us, building good relationships is about more than serving the customer—it’s about serving the community as well. That’s why we’re always open to sponsorship invitations, and ready and willing to help you with your charity event and fundraiser. We’re also happy to host your corporate events or personal gatherings in our grand showroom facility, which truly needs to be seen to be believed. It’s our passion for excellence in all its forms that has made us the dealership we are today, from our inventory of quality Mercedes-Benz vehicles to our comprehensive and extensive service department and complimentary Roadside Assistance. As a proud member of the Penske Automotive Group, we strive to represent ourselves and the brands we offer with class, elegance, and helpfulness. Contact us today to see what we can do for you. Our lot is conveniently located at 261 West Putnam Ave, and we’re ready and waiting to serve you to the best of our abilities.